On a freezing night in Belfast, businesses and homes are evacuated after a car-bomb is discovered near a police station. So far this is not necessarily a surprising description of events, but may be a little more surprising given that this was November 2013, not 1972. The perpetrators of this may have only been children when the ‘Troubles’ begun in 1969, or may not have even been born, but they are using similar tactics to the Provisional IRA, although they see themselves as the sole representative of ‘pure’ Irish Republicanism. Only yesterday (25th November) Northern Ireland’s chief constable Matt Baggott said there had been a recent “surge in dissident republican activity”. It always seems strange when the authorities refer to dissident attacks as being on the rise. One only has to visit the BBC News Northern Ireland page, or Henry McDonald’s terrific column on the Guardian webpage to see that dissident republican activity is a weekly (at least) news story. In the last few weeks this figure has been even higher; on the 10th October the so-called ‘New IRA’ killed a 40 year old man in Belfast and earlier in October the dissidents were blamed for letter-bombs sent to Matt Baggott and Northern Ireland Secretary Theresa Villiers. Gerry Adams once said of the Provisional IRA: ‘they haven’t gone away you know’. This seems apt when referring to the warped offspring of the PIRA, the dissident groups. The dissidents are no way near as dangerous and expert as the PIRA was at the height of its campaign. However it would be dangerous and naïve to underestimate them. The Continuity IRA (CIRA) who split from the Provisionals in 1986, killed a Catholic police officer in 2009, two days after another group, the Real IRA (RIRA) shot dead 2 British soldiers and wounded 4 others in a gun attack at Massareene barracks in Antrim. Yet another group Óglaigh na hÉireann (OnH) which translates in Gaelic to Soldiers of Ireland (which is also the name of the Irish Army in Gaelic), split from the RIRA in 2008 and are allegedly responsible for numerous attacks, including the murder of a prison officer, David Black, in a shooting on a motorway in 2012, the killing of a Catholic police officer Ronan Kerr in Omagh and the serious wounding of another Peadar Heffron, who sustained severe leg injuries. Both these last 2 attacks involved sophisticated under-car bombs, similar in composition to the PIRA, leading the authorities to warn that an experienced ex-PIRA bomb maker may have been recruited by the dissidents. The situation is undoubtedly confused by the existence of so many groups, and the apparent crossover between them. For example OnH and the RIRA often claim responsibility for the same attacks, and a new organisation, allegedly composed of some disgruntled ex-PIRA members from Country Tyrone, calling itself Irish Republican Army (but referred to in the media, confusingly, as simply the New IRA) have claimed that they were responsible for the killing of David Black and the murder of Ronan Kerr. The PSNI and MI5 believe that the groups, while independent, are increasingly working together. Indeed the New IRA claim to be an amalgamation of RIRA, the aforementioned Country Tyrone ex-Provos and a vigilante group Republican Action Against Drugs (RAAD). If this is the case then the dissidents could pose a real danger. While the majority of their actions, while serious, have been confined Northern Ireland, one attack on the mainland would be a huge coup for any of the groups. It is important to remember that the RIRA attacked the headquarters of both MI6 and the BBC in separate attacks in 2001, using a RPG in the former case. It seems to me that referring to dissident attacks as part of a ‘surge’ is curious. It is clear when researching such groups that their capability is restricted to being able to carry out a flurry (for want of a better word) of attacks each few months to show that they are, in effect, ‘still there’. This definitely should not diminish their threat. With the exception of the 7/7 attacks, dissidents have killed far more British citizens than any Islamist-inspired group or individuals. Indeed MI5 have said recently that they are spending almost as much time, resources and money focusing on these Irish groups as Al Qaeda and similar groups. We should not ignore the dissidents or oversimplify their claim by lazily calling them criminals with no support, as Sinn Fein have in the past. Yes it is a sign of the progress made that Martin McGuiness and Gerry Adams frequently condemn dissident attacks, even the shooting of the soldiers in 2009, but we need to eventually begin dialogue with the dissidents. The peace process in 1998 occurred after years of talking between the UK and the PIRA, and although their actions must be unequivocally condemned, it serves no real purpose to continue to ignore the dissident groups. The dissidents are not without support, even if their supporters are few and far between, they cannot, and must not be ignored. The killing must stop; dialogue must replace kneecappings and car bombs, so Northern Ireland can finally move on. In the early hours of Sunday morning, Iranian Foreign Minister Javad Zarif tweeted ‘We have reached an agreement.’ By this he meant the P5+1 and himself, in a meeting headed by EU’s Catherine Ashton, had come to an agreement to halt Iran’s nuclear programme in exchange for relaxed sanctions (worth nearly $7bn). Zarif agreed to capping uranium enrichment for power station use only, to refrain from installing new centrifuges and working on its heavy-water reactor near Arak. Over the coming months the six world powers will engage in even tougher talks to try and broker a long-term agreement that satisfies all parties. A significant step towards tightened nuclear security? More than that. This is arguably yet another indicator that Rouhani’s administration is moving towards a never-seen-before, open Iran (‘open’ to be taken as lightly as possible). Since the Iranian Revolution in 1979, Western foreign ministers and heads of state (particularly in the USA) haven’t come close to this level of engagement with Iran. Zarif, a relatively modern thinker (and communicator; big Twitter user) has began a process once unthinkable to Western powers; a diplomatic agreement with The Islamic Republic that aims to bring positive results for both sides. US Secretary of State, John Kerry, has stated recently that ”It was always going to be hard to arrive at a deal with Iran when the mistrust was so deep and had gone on for so long.” The agreement that came out at around 3am GMT provides a basis for growth in Western-Iranian relations. It allows the past to be remembered, but not to wholly frame the future. Rouhani’s administration (although scepticism will lie on both sides) has created a path for Iranian development in the eyes of the West, for less ‘Axis of Evil’ talk circa George W. Bush, and for a state that can be taken seriously by the outside world. Over the coming months it will be interesting to see how these talks develop. Will there be a real future for Western-Iranian relations? I don’t know, but what I do know is that 24th November 2013 marks a historic step in the right direction for Iran. If taken seriously, and implemented properly, the Geneva talks represent the beginning of the end of the silent Cold War. BOOK REVIEW: Marina A. Sitrin, Everyday Revolutions: Horizontalism and Autonomy in Argentina (London and New York: Zed Books, 2012), pp. xv + 256, £14.99; $24.95, pb. The crisis of 2001 in Argentina and the social protest that erupted with it was not simply a call to restore the capacity of the state to secure economic growth and development but more profoundly a redefinition of social citizenship. According to Sitrin, social mobilisation that emerged on the eve of 2001 must be seen as ‘politics in a different way’ (85). What is different, according to the author, is that expectations of social change became associated with alternative forms of organising protests through ‘horizontal’ collective action that escape traditional forms of control by the traditional parties, labour unions or the Peronist elite. These forms of collective action manifested in the Movement of the Unemployed, factory take-overs, neighbour assemblies, and street vendor movement, all rooted in local community activism and the practice of ‘direct democracy’ (8). It is a politics that not only refuses institutionalisation and hierarchical leadership but also imagines a new subjectivity. Sitrin explores how new politics of social protests, demonstrations and resistance in post-crisis Argentina has not been driven by concerted efforts to construct an effective political liaison with existing political parties or unionised groups, but rather by reclaiming ‘neighbourhoods and the workplace’. Sitrin explores, in an accomplished manner, how in the context of a profound political legitimacy crisis in Argentina, a new repertoire of social change and ‘social innovation’ emerged through the practice of solidarity, self-management and productive reorganisation. The book offers a simple yet captivating narrative organised in eight chapters that cover three main defining features of post-crisis – and perhaps post-neoliberal – innovative models of social articulation: (i) horizontality, denoting a form of organisation that rejects traditional forms of political delegation and hierarchy structuring political parties and labour unions (ch. 3); (ii) affective politics, that is the imaginary or subjectivities framing new repertoires of social change, belonging and identity politics (ch.4); and (iii) autonomy, that is the capacity to reorganise and self-manage workplaces and engage with solidarity economies (ch. 5, 6). These concepts are applied to new forms of social activism that, at odds with historical forms of protest, not only called into question the morality of neoliberal democracy but were also moved by a desire to recover the work place and develop solidarity networks to provide services in the form of cooperatives and other communal ties. The breadth and scale of mobilisation, Sitrin argues, suggest an ambitious attempt to revitalise a different model of emancipatory politics where workers and neighbours challenge capital and the legitimacy of the state as the place for democracy and inclusion. While this is a valuable contribution to the literature and the practice of social movements, democracy, and contentious politics outside state politics, the analysis over relies on actor-oriented and oral history-led explanations. This poses at least three fundamental concerns. The first concern relates to the transformative capacity of these movements. Horizontalism, as a category of analysis, captures ideas, subjectivities and affective politics embraced by new social movements in a context where the state, or traditional forms of political representation, offer no way out (p. 7-8). However, while the movements analysed have been highly significant creating new repertoires of contention and resistance in Argentina’s immediate post-crisis, it is not clear how transformative as a social project they can be in times of normalisation. Furthermore, the extent to which horizontalim can consolidate a ‘meta narrative’ or ‘master frame’, paraphrasing Snow and Benford (1988), of civic opposition and social change is left unexplored. These issues are of particularly significance and need to be thought in light of current changes in the political economy of post crisis as resource boom growth in Argentina, yet not only, has been highly consequential for contentious politics. A second concern relates to the relations between horizontal movements, contentious politics and the state. New horizontal forms of social contention can and have survived – the recovered factories is a case in point as described in the closing chapters of the book. But a theoretical speculation beyond politics of affection could have been offered to conceptualise how these movements relate to the state, beyond top-down forms of co-optation, which is the only politico-institutional dynamic considered in the book. Political and economic recovery after crisis means that horizontal movements are faced with the dilemma of how to adapt to changes in the political structures that seem to narrow the available potential of opportunities to preserve self-management and direct democracy. 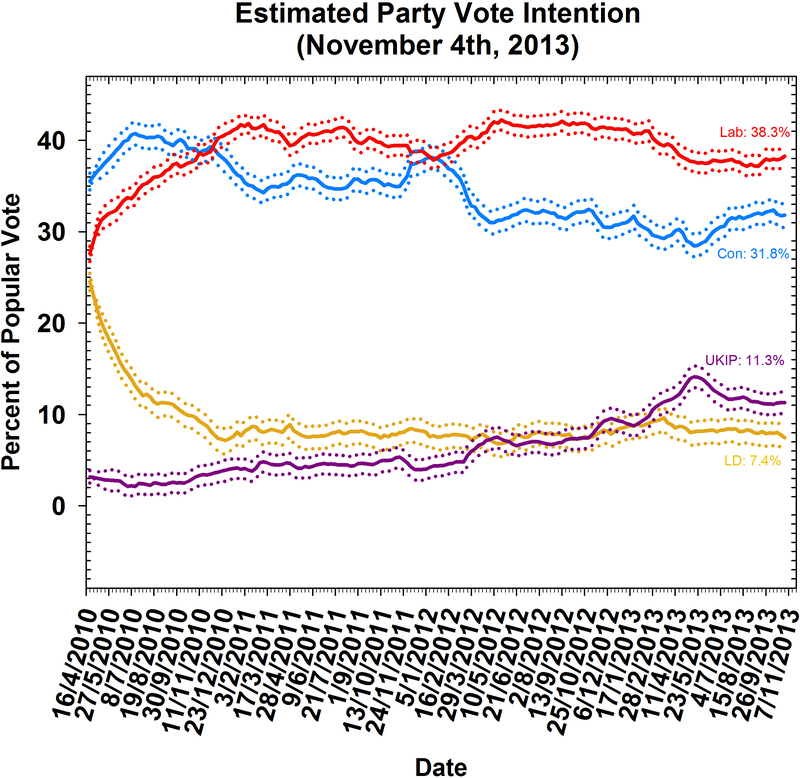 What explains political resilience in horizontal movements? Institutionalisation may require sacrificing a degree of spontaneity, a characteristic that initially brings esteem to horizontal groups. But nurturing a new, self-conscious (worker’s) identity within the larger labour movement is difficult to envisage. The analysis suggests that some movements are more susceptible than others to be absorbed by state ‘national-popular’ rhetoric and depoliticising tactics through the institutionalisation of workfare and social programmes, subsidies to state-sponsored cooperatives and to self-managing practices of workers in fábricas tomadas. But any inquisitive reader may wonder about synergies between internal characteristics of a movement and external political opportunities explaining pathways taken by horizontal movements vis-à-vis state politics beyond a false dichotomy between politics of state co-optation vs. horizontal groups autonomy. Finally, a deeper discussion about what horizontalism means in terms of post-crisis citizenship beyond the logic of individual cases is still pending. Horizontal social articulation denotes not only the complexities of a reawakened society and challenges of defining citizenship ‘from below’, but also, and more importantly, opens new questions about new models of social underpinnings of ‘citizenship from above’, or post-neoliberal corporatism, as inclusion is, essentially, a matter for the state. Regardless of specific criticisms, this should in no way detract from its overall quality. This book is engaging and extremely informative of peoples’ ability to self-organise, socially and economically, in response to expectations of social change. It is timely for those interested in social movements, politics of dissent, social engagement and democracy across the globe. Its distinctive narrative is also a journey through social imaginaries and emotions. I am pleased to announce that ‘The Theory and Practice of Security Governance’ has been accepted as one of the workshops for the EISA European Workshops in International Studies to take place in Izmir (Turkey) in May 2014. I would therefore like to invite interested colleagues and PhD students to submit their proposals here. Constitutive (ontological) theory: How can we conceptualise security governance? How does security governance differ across various geographical regions, different security risks and different levels of analysis? Causal theory: How to explain the differentiation of security governance structures? Normative theory: To what extent are security governance structures legitimate and accountable? Should transnational and international security institutions be held to the same standards of legitimacy and accountability as states? Should we consider security governance structures as a priori more effective and desirable than traditional inter-governmental cooperation? These three modes of theorising will help to (A) unpack the concept of security governance in International Studies; (B) advance our understanding of the dynamics associated with this concept; and (C) address the key moral dilemmas. the nature and role of inter-governmental and transnational policy networks. 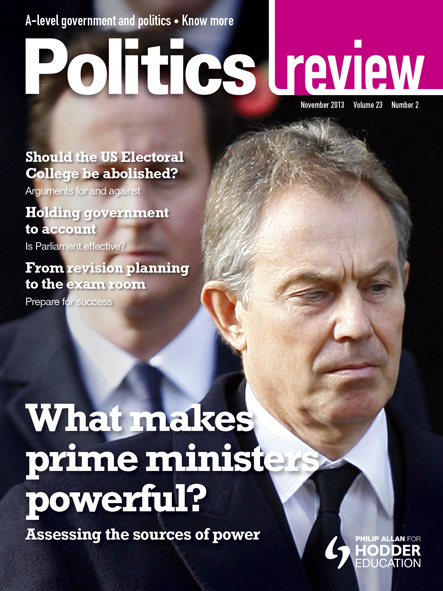 In the current edition of Politics Review, the magazine for A-level Government and Politics, I have written an article exploring the UK Parliament in terms of what it does and how effectively it does it. The piece covers a number of important areas, many of which we hear about all the time in the news, even if somewhat tangentially. For example, it examines parliament’s representative role, how it communicates voter opinions and preferences to government, and the extent to which MPs effectively represent the diversity of UK society. It also explores parliament’s scrutiny role as a major check on what government does and as a crucial site of political accountability, particularly noting the expanding role of select committees in this regard. The article concludes that parliament is not a perfect institution – and can never be perfect – but that there is much still to be done to make it work better as a political institution, particularly in terms of its representative credentials and its capacity as a forum for rigorous executive scrutiny. A great deal of political energy is expended inside political institutions such as parliaments and, as such, it just makes good sense for us always to reflect on how they can better serve the public. Over the last couple of months I have been lucky enough to be involved with creating the first Open Data Barometer. This is a project run by Tim Berners-Lee’s Worldwide Web Foundation to measure the progress that countries round the world have made in opening up data for reuse – and the results have just been announced. Although the Barometer includes progress on both government and non-government data, government policy is at the heart of both sectors and the results are a reflection of government attitudes to and progress towards open data. Unlike other “barometers”, such as the Eurobarometer, which are based on surveys and interviews, the process for creating the open data barometer comprises using the internet to find the answers to a structured set of questions about each country. Questions range from considerations of general context (e.g. is there effective freedom of information legislation?) through impact (are there clear examples of open data improving government efficiency?) to specific types of data such as health, environment and transport. Every answer has to be supported with publicly available evidence. You can see the text of the questions and the kind of evidence required here. The answers are then peer reviewed and normalised. I conducted the research for the UK and the USA, which given my limited language skills was probably all I could manage. As it turns out the UK came top of the barometer and the USA was second. This probably made the job easier than for some other countries as it is easier to prove a positive – e.g. yes, there is open data on transport – than a negative. And the UK and the USA had a lot of positive answers. I don’t think this means I was a soft reviewer. I am pretty sure most members of the open data community would have guessed these two countries would come top before the project began. It was quite a lot of work but could be done almost entirely at my desk using a browser. I also found it to be an excellent way to improve my knowledge and understanding of the two countries. For example, I never realised that the USA had no general information privacy legislation equivalent to our Data Protection Act (it relies on a complex set of federal and state laws relating to specific sectors such as health). If the opportunity to do something like this comes up again I would jump at it. As befits an open data project all of the data is available on the web and anyone is licensed to reuse it. So if it is relevant to your research then please help yourself. I think it is good information. The vast majority of questions were relevant and clear (inevitably there were a few that were less clear and or overlapped – but compared to similar exercises I have done before it was good) and the feedback from the peer reviewers was both detailed and helpful. Remember that many of the questions are about transparency in general – so it might be relevant even if you are not specifically interested in open data.